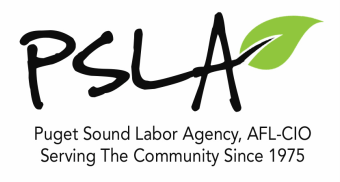 The PSLA Food Bank is located in the historic Labor Temple in Belltown and is a vital resource for the community, providing groceries and other necessities twice a week. As of June 2016, we distributed 552,761 pounds of nutritious food to more than 53,000 individuals and families. Northwest Harvest and Food Lifeline provide a significant amount of the food we distribute. The balance comes from food drives and donations. 51% of the food comes from Northwest Harvest and Food Lifeline.